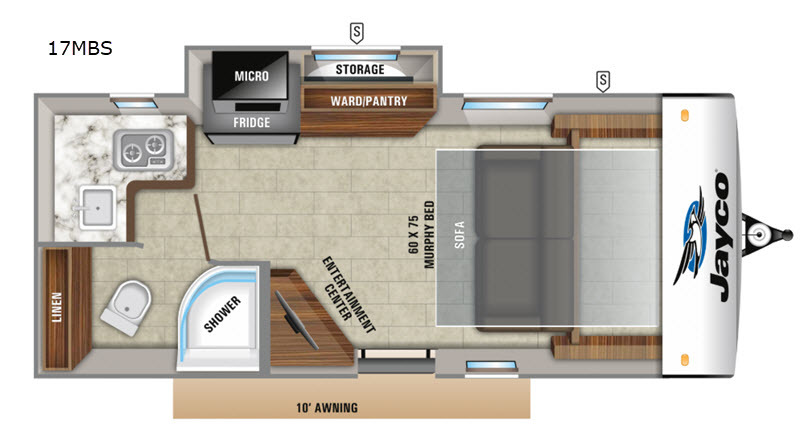 Are you ready for the ideal couples travel trailer? 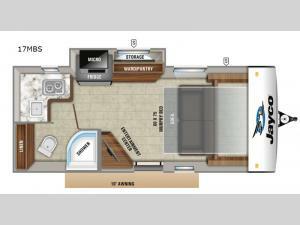 Well, come check out this Hummingbird 17MBS travel trailer by Jayco. This travel trailer is ready to go when you are. Depending upon when you enter this trailer will determine if you see the sofa during the day or the Murphy bed set up for the night. The slide out provides plenty of room to move around, and outside you will enjoy exterior storage for all of your extra camping gear. In the evening plan to grab your camp chair, a snack, and enjoy the 10' power awning with LED lights!